The holiday season had arrived, which means this month will be filled with parties, events, and time with the family. For all of these occasions, I like to look and feel by best, and thanks to Babble Box for sending me a variety of products to try, I now have everything that I need to look party perfect. From waxing, to teeth whitening, and achieving the perfect holiday makeup, here are the products that will have you stepping out the door in style. 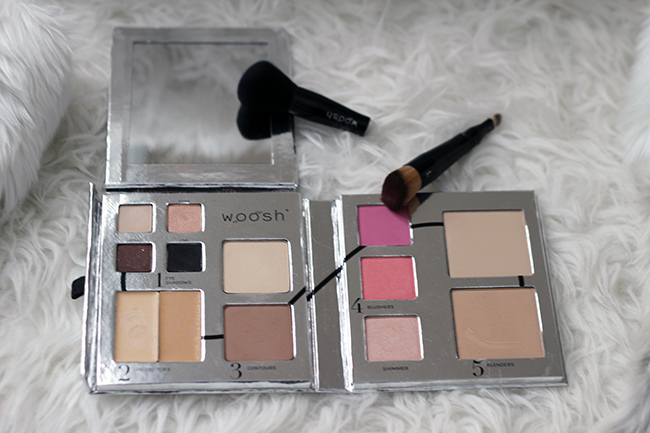 I love the idea of Woosh Beauty's Fold Out Face! It's everything that you need in one palette, making beauty on the go, easy. Included in the palette are four different eye shadows, two perfectors (for concealing), two blush colors, and a variety of highlight and contour colors. The Palette also includes a mirror and the brushes that you need to apply the makeup. Not sure how to apply? No worries, it comes with step by step directions! There are five different palettes to chose from (I use medium-light) and each palette is only $59. The makeup is mineral based, Paraben free, and not tested on animals. I love that I can achieve different looks with just one palette, and the highlight is amazing! Use code: BB15OFF for 15% off your Woosh Beauty Purchase! It's no secret that I'm obsessed with these cheetah print booties, as you have seen them on the blog (here), and on my Instagram several of times already! 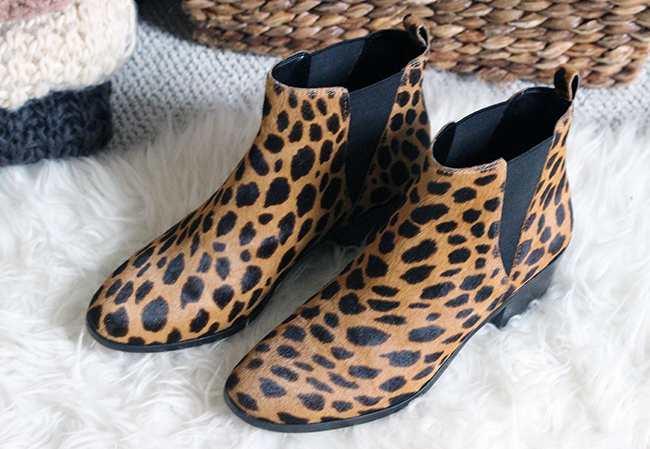 I had been wanting to add a pair of leopard/cheetah print boots to my wardrobe, so when I saw this pair in my Babble Boxx, I was beyond excited. I love the low heel, making them great for everyday with jeans and a chunky sweater. However, they would be perfect paired with a LBD, or black jeans and a blouse, for a casual holiday party. Now this product I was both excited and nervous to try. As someone who consistently plucks her eyebrows, trying an at home wax was a little intimidating. However I did find this product pretty easy to use. It's a natural, non heat formula in a slim precision applicator that makes waxing in smaller areas easy. You swipe the wax where you want it, apply the cotton strip, then peel away! Any extra wax simply washes off with water. I do have to admit, that my first attempt using this, the wax didn't apply well. After heating the product up a little, I found it to work much better. 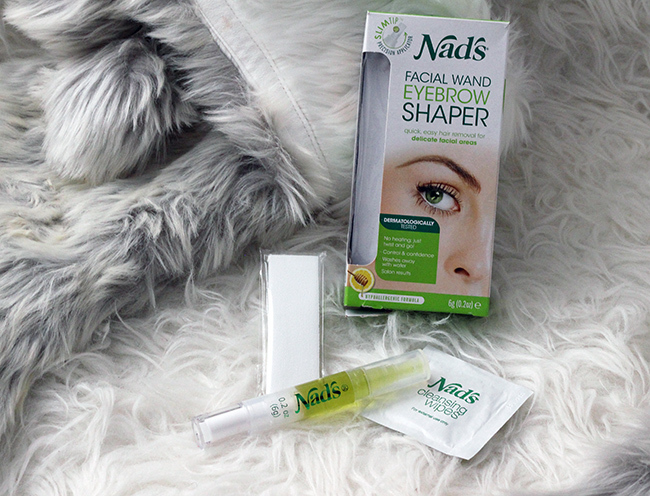 I'll definitely be using it again to shape my brows, as it can get smaller hairs, and I can't wait to try it on other areas too! This is the product that I was most excited to try! I have tired multiple teeth whitening products in the past, and non of them have given me the results that I had hoped for. 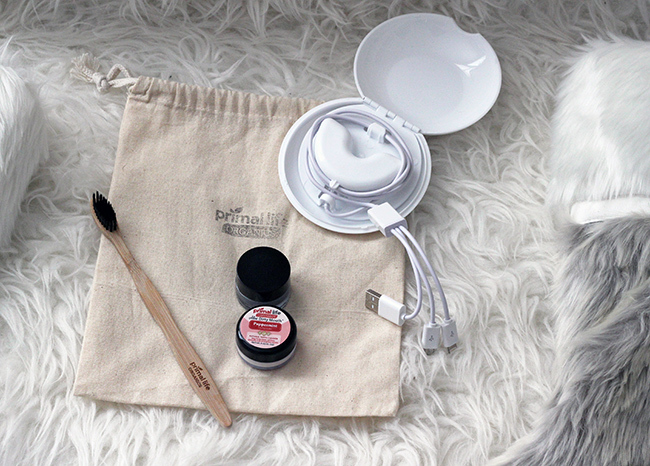 Primal Life Dental Kit includes the 100% natural Boost Whitening Paste, LED Teeth Whitener, All Natural Toothpowder, and a Charcoal Ion Toothbrush. Together they work to brighten you smile. 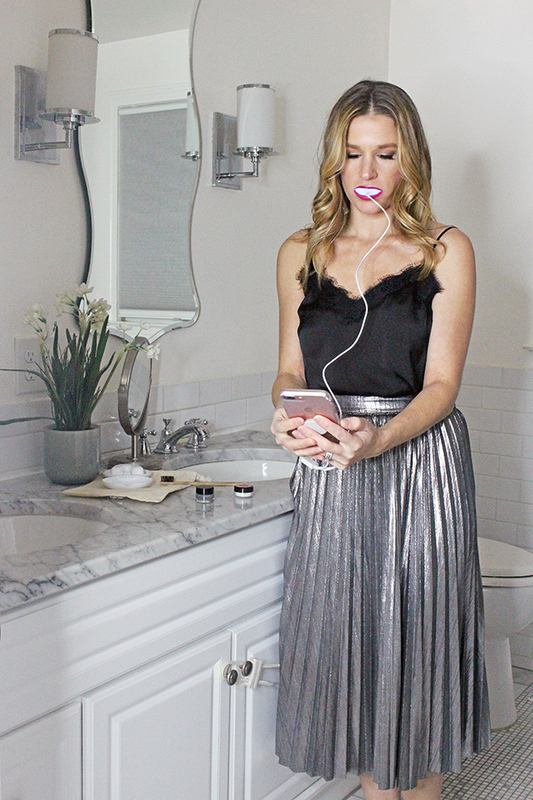 Not only do I love that the products are natural, but the LED is powered by plugging it into your phone, so you can check you emails or browse the Internet while you teeth are being whitened! I have used this product twice, and am already starting to notice a brighter smile! Want a whiter smile for the holidays, use code PLOBOXX17 for 20% off your purchase! I have to admit that I don't normally wear perfume, so when I saw this Rosé Rush by Paris Hilton, I was a little scared to try it. However, I was pleasantly surprised by the feminine scent which includes hints of florals and fruits. Although it is little strong for my taste to wear everyday, it is perfect for a night out or holiday party! Are you holiday party ready?? I love those leopard booties! I wish I would have had that teeth whitening kit before my sisters wedding! Lucky for me, I have another one getting married in May! I SO want to try it! Ooohhh that whitening option sounds amazing! I love those boots and I'm sure that perfume smells so good! I love everything! I want to try that teeth whitening kit and that Nads! I hate tweezing my eyebrows! I love those boots! Beautiful! Obsessing over those booties! So cute. What a fun babbleboxx! I love the booties and the teeth whitening light looks so cool! Whao all of these goodies sound amazing! I'm curious to read a review on the teeth whitening. As far as your skirt goes, O-M-G I love it! I want it! I have never heard of this company before! I love your skirt girl. What a great box of goodies! I just love those booties! All of these look amazing but I am swooning over those cute booties!! Love! That looks like such a cool box! Wasn't this box a blast?! 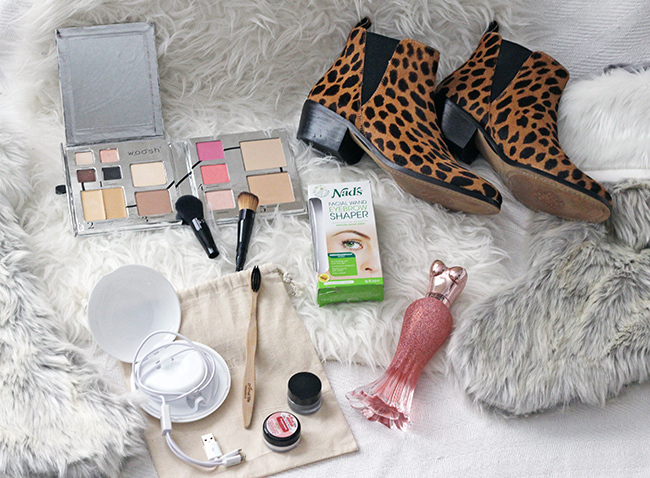 I'm loving those leopard booties and that face palette is AWESOME for travel! So in love with your silver skirt! It's perfect for the season. Subscription boxes are so fun! Plus, they are definitely a good gift around the holiday season. It seems like they sent you a lot of really nice products. I will have to check this company out! The dental teeth whitening sounds good. Gotta check it out for sure. -And the boots, hot!! Love it a lot! I love the colours in that makeup pallet! So pretty and perfect for the holidays. I feel like I'm already READY! The packaging on that perfume is gorgeous. It definitely caught my eye the most! Love your silver skirt! So perfect for the holidays! This is such a cute box of goodies! Thanks for sharing! Really love those boots. Babbleboxx always has some great boxes for all occasions. I also love their Bridal boxes, so many good beauty products for a low price!